Measurement Range: 3kg-180kg, Unit Modes: kg/lb/st. Switch-on over 3kg, this is not for light objects. 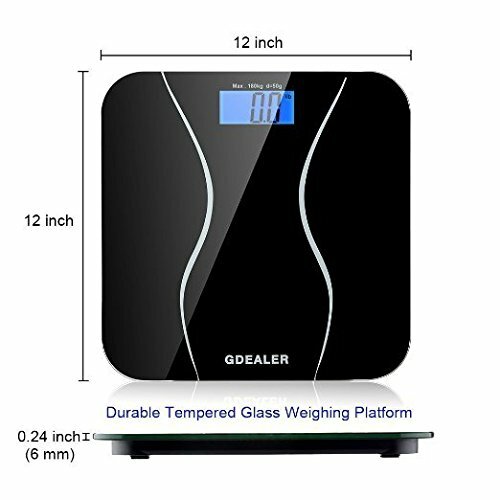 If you want to weigh something below 7lb, we suggest customers buy Kitchen Scale. People are at their lightest in the morning before breakfast. 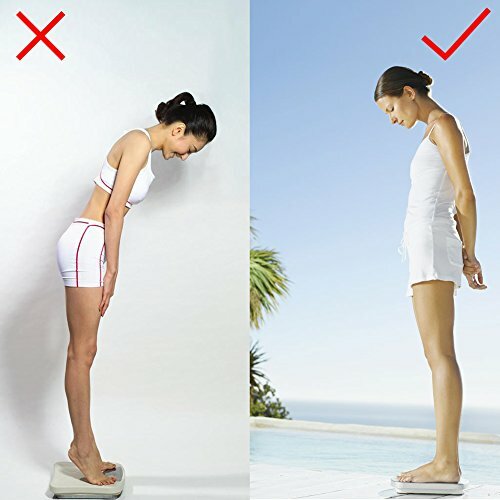 As food enters the body, weight goes up and by the afternoon, weight begins to fall back down. Exercise will also bring weight down. 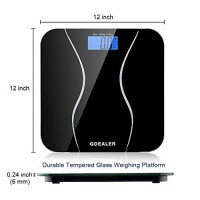 Keep in mind that weight fluctuates up to 4-6lbs throughout the day. LCD display shows “LO” means low battery, please change the batteries. LCD display shows “OL” means overload. 1. 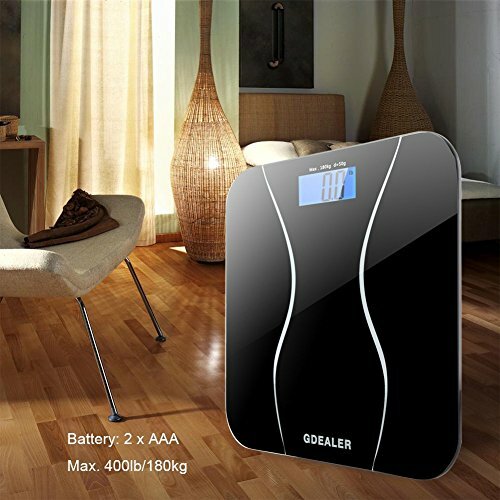 Put batteries in the battery compartment at the back of the scale. 2. 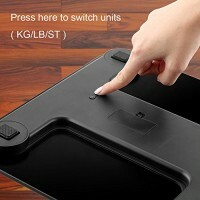 Units Switch: Press the unit key at the back of scale to choose kg/lb/st. 3. 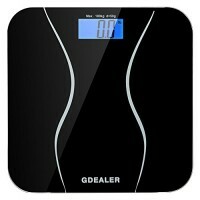 Keep the scale on the flat surface. 4. 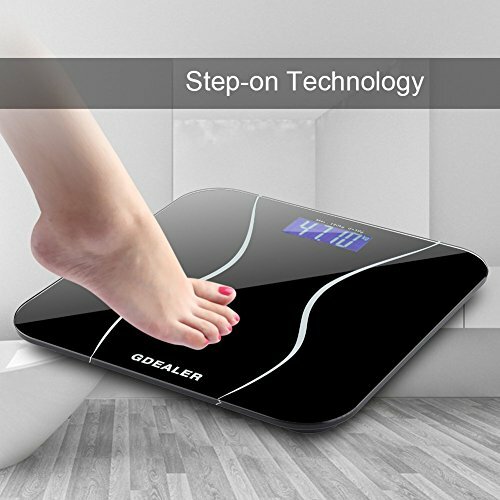 Step on the glass platform, the scale will turn on automatically. 5. Stand still for some seconds until LCD display shows your body weight. 6. 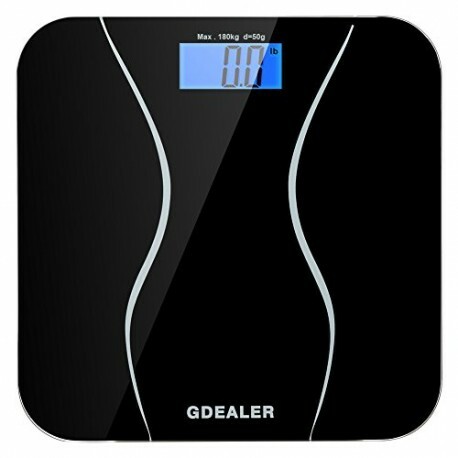 The scale will turn off automatically after 5 seconds. Quality Guarantee – 100% new with 90 days money back guarantee and 1 year warranty.